BEIJING—Less than three months before China shocked markets with a surprise devaluation of its currency, a top Chinese exchange-rate official told a closed-door gathering that Beijing had no need for such a dramatic move. According to a transcript reviewed by The Wall Street Journal, Mr. Yi told government officials, academics, businesspeople and investors at the May 22 event in Shanghai that China still had a “very large” trade surplus that should support the currency. Now, China has done a U-turn. On Tuesday it pushed the yuan into the largest devaluation in its history, cutting its value against the dollar by 1.9%. The move roiled financial markets and set off worries that other central banks would follow suit. At home, it signals that Beijing is growing increasingly worried about its slowdown in economic growth. Abroad, the move risks further chilling relations between Beijing and Washington ahead of President Xi Jinping’s meeting with Barack Obama in the U.S. next month. The currency move came as officials in China’s Commerce Ministry, which oversees exports, and others expressed concern that the economy is slumping faster than China’s leadership had anticipated, according to Chinese officials and government advisers. Chinese officials also worried about this summer’s confidence-shaking stock-market rout. Overall, it suggests that China’s leaders are looking for new ways to rev up growth as other methods look increasingly ineffective, raising the possibility of further and more dramatic efforts to come. Tuesday’s move shows Beijing is struggling to balance propping the economy with economic reform. The Chinese leadership is shifting toward stabilizing growth rather than accelerating reforms such as opening the country up for freer cross-border capital flows, according to the Chinese officials and advisers to the government. Behind the push is Mr. Xi, who they say over the past two months has repeatedly told local officials that “maintaining economic growth” as the government’s top priority for both near term and the next five years. 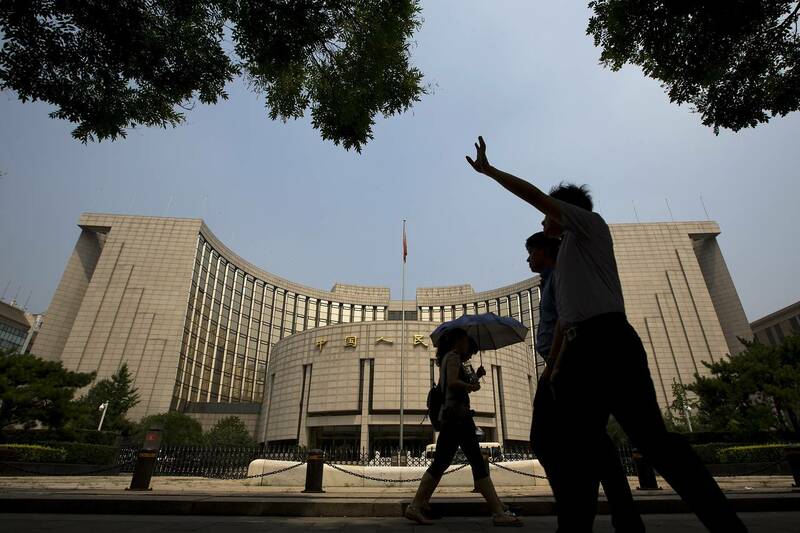 At the same time, China’s central bank moved in a way that could bolster its efforts to loosen its controls over the currency—a step toward reform. While it didn’t tell the International Monetary Fund or other outside groups about its plans, people close to the central bank say, it made the devaluation using a new mechanism that the PBOC believes will make the yuan more closely aligned with market forces. The central bank also took pains to incorporate some previous IMF suggestions in the new mechanism, the people said. Spokespeople at the PBOC, China’s Commerce Ministry and China’s cabinet, the State Council, didn’t respond to requests to comment. The move to devalue the yuan comes as China’s leaders are fighting a host of economic ills that could endanger their goal of achieving a 7% annual growth target for this year, which would be the lowest in a quarter century. They include weak factory output, slumping demand from both home and abroad, and persistent risks of falling prices that could make it harder for Chinese companies to pay off debt. The currency step also followed unprecedented government efforts to prop up China’s faltering stock market, which is jeopardizing Beijing’s plan to restructure China’s heavily indebted state-owned companies. To shore up growth, China has cut interest rates four times and taken other measures to beef up bank lending since November. Beijing has also freed up local government to issue bonds and the central bank provided financing to commercial banks to purchase those bonds. Since early July, the PBOC has been offering credit to a government agency tasked with propping up falling Chinese shares. Increasingly they are also turning to their old playbook of ramping up fiscal spending on infrastructure and other government-backed projects—an approach that spurred growth after the 2008 global financial crisis but larded the world’s No. 2 economy with massive debt. The central bank also is pumping billions of dollars of funds into China’s policy banks to finance shanty-town renovations and other big-ticket projects. China’s cabinet, the State Council, made the decision to devalue the yuan in recent days amid gathering gloom over China’s export sector, according to the officials and advisers. The latest official data shows Chinese exports in July fell a surprising 8.3% from a year earlier. Exports for the first seven months of the year were down 0.8% compared with a year earlier. 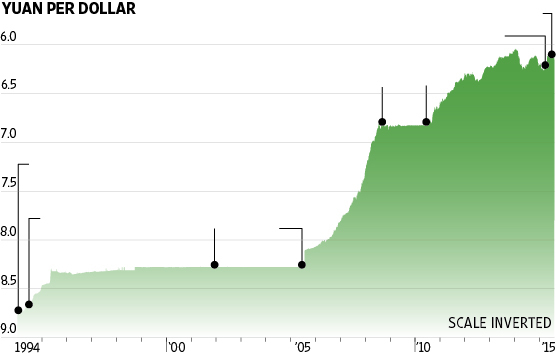 China consolidates its competing exchange rates into a single one pegged to the U.S. dollar. Before that, China had an official rate and a rate offered domestically at what were known as swap centers. It comes amid a slew of other reforms intended to shake up the country’s underperforming state-owned enterprises and make the economy more market-focused. At home, China moved to make sure the devaluation wasn’t perceived as a desperate by the government. Ma Jun, chief economist at the central bank, said the devaluation was a “one-off adjustment” and it shouldn’t be seen as the beginning of a weaker currency. Also on Tuesday, the State Internet Information Office issued a directive to state media telling them not to play it up, according to people who received the notice. Up until now, China’s central bank had been bolstering the yuan’s value by selling large amounts of its dollar holdings to prevent the yuan from sliding against the dollar. It has repeatedly named maintaining the stability of the yuan’s exchange rate as one of its top priorities. Long-time PBOC Gov. Zhou Xiaochuan for years has push to liberalize the yuan and promote its global use. By implementing the devaluation through a market-based mechanism, the PBOC hopes the new system could convince the IMF to get the yuan included in the fund’s elite basket of reserve currencies, which include the U.S. dollar, the euro, the Japanese yen and the British pound. The central bank sets the reference rate for the value of the yuan against the U.S. dollar. In daily trading, the yuan is allowed to move 2% above or below that level, which is also known as midpoint, or fixing. But the central bank sometimes ignores the daily market moves, at times setting the fixing so that the yuan is stronger against the dollar a day after the market has indicated it should be weaker. With Tuesday’s move, the fixing will now be more based on how the yuan closes in the previous trading session, as opposed to being at the complete mercy of the central bank. It’s a change also called for by the IMF, which is expected to make a decision on whether to declare the yuan a reserve currency late this year. “The PBOC hit two birds with one stone,” said Larry Hu, China economist at Macquarie Group Ltd MQBKY -2.41 % , a Sydney-based investment bank. “It caused the yuan to weaken, ending support to exports, and it’s making the exchange rate more market-determined, which could help China win the reserve currency status,” Mr. Hu said. How the yuan trades in the next few days would test how far China would let market forces go in terms of determining the yuan’s value. “If the PBOC was to closely follow the previous day’s closing in setting the daily fixing rate, renminbi depreciation expectations could quickly become entrenched and the yuan could depreciate quite quickly and significantly in the coming days,” said Wang Tao, China economist at UBS AG. “If so, that would be a sea change in China’s exchange-rate policy as letting the market drive down the yuan can help support growth,” said Ms. Wang, who has cut her forecast for the yuan to about 6.5 per dollar by the end of this year, compared with 6.3 she previously projected. The IMF has claimed that the recent disruption in the stock market will not affect the renminbi’s chances of joining the SDR basket. The Fund prefers to focus on a “well-defined set of criteria,” including efforts to open the financial system and develop capital markets. But inclusion in the SDR basket is neither necessary nor sufficient to achieve true reserve-currency status. The SDR accounts for just 2% of total central-bank reserves, and it is not used by the private sector at all. In fact, the four-currency basket has not changed for 15 years, largely because of its lack of significance. Of course, the renminbi’s inclusion in the SDR basket would be an important symbolic milestone on the renminbi’s path to full internationalization. But that path will be long and hard, with the government forced to overcome major economic obstacles, including extreme asset-price volatility, along the way. At a minimum, a reserve currency must be freely convertible for current-account transactions, such as commercial trade and interest payments. To attain genuine reserve-currency status, however, it must also be freely convertible for capital-account purposes, such as foreign direct investment. Most important, central banks require liquidity denominated in a reserve currency to meet balance-of-payment requirements, to service debt, and occasionally to intervene in foreign-exchange markets. To achieve this, the country supplying the reserve currency needs a large domestic capital market – in particular, for short-term, high-quality debt securities – in which central-bank reserves can be held. In the United States, Treasury bills serve this purpose, while in the United Kingdom, there is a large, liquid pool of short-term gilts. But China’s government-debt market, the most likely repository for reserve assets, remains too small and illiquid for the purposes of central-bank reserve managers. Beyond maintaining convertibility, a country must accept “excess demand” for its currency and supply it freely. In practice, this means that China would need to run a chronic current-account deficit, which it may not be willing to do. At the same time, the rest of the world may not be willing to build up claims against China – at least not on the scale required for a viable reserve currency. Even if Chinese authorities managed to achieve full convertibility and tradability for the renminbi, there is no guarantee that it would actually become a global reserve currency for the simple reason that reserve currencies are not easily established. Indeed, over three centuries of globalization, only three “currencies” have dominated: gold, the British pound, and the US dollar. Though the Deutschemark, the Swiss franc, and the Japanese yen have all offered viable alternatives to the dollar since World War II, often providing better stores of value that are less prone to inflation, none has made lasting inroads into the dollar’s share of global foreign-exchange reserves. It is also perhaps no accident that global financial centers and reserve currencies have emerged largely in countries where the rule of law is well established, and where foreigners do not face potential legal discrimination. Whether China can achieve similar legal standing remains to be seen; at the very least, it would be a long and slow process. 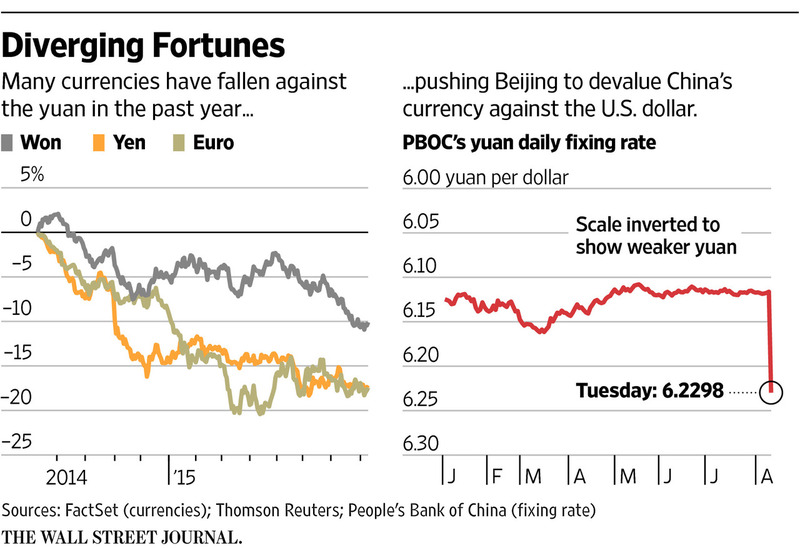 China continues to take some of the necessary steps to reach reserve-currency status. Maybe these will prove sufficient for the renminbi to be added to the SDR basket this year. 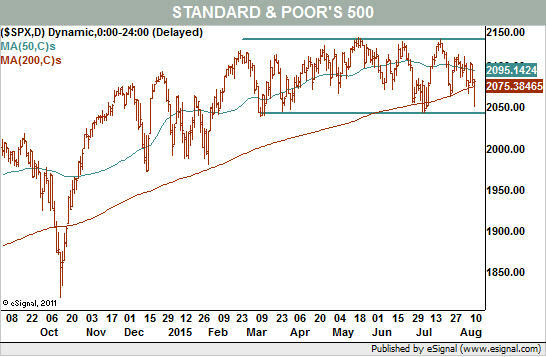 But, as China’s equity markets have recently shown, the path is likely to be a bumpy one. 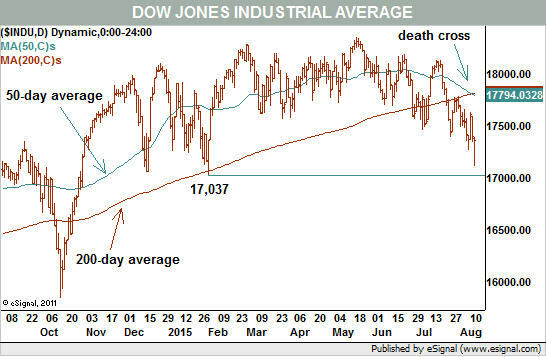 Despite Wednesday’s recovery in the market, the Dow’s “death cross” is but one of many challenges facing stocks. In sectors, using Select Sector SPDR exchange-traded funds, both health care and consumer discretionary) made significant moves below their averages Wednesday. They now join energy ), industrials and basic materials in this spreading bearish condition. Egypt has revived the Suez Canal on a grand scale with a flourish of patriotic fervour, vowing to reignite world trade almost a century and a half after the legendary waterway first opened. The $8.2bn construction blitz adds a second shipping lane along a 45-mile stretch, allowing traffic to move in both directions. It shaves 11 hours off the journey and increases capacity by a quarter to 99 vessels a day. The project was rushed through in less than a year – a third of the original estimate – in an engineering coup that enlisted three-quarters of all dredgers in existence to scoop out a new passage through the Great Bitter Lake. President Abdel Fattah al-Sisi called the enlarged canal a “gift to the world” at an opening event with global leaders in the port of Ismailia, protected by a massive security blanket to fend off possible terrorist attacks from ISIS forces in the Sinai. While the Egyptian government was at pains to stress that the country is safe, the event was overshadowed by ISIS threats to execute a Croatian engineer seized on the streets of Cairo if the state fails to release “Muslim women” prisoners within 48 hours. Funding for the canal was raised by the Egyptian people in just eight days, with even the poorest buying interest-bearing certificates for as little as 80p. Cairo hopes to boost canal earnings from $5.3bn to $12.3bn by 2023. Despite the display of national esprit – what the great Arab philosopher Ibn Khaldoun termed "asabiyah" - it is far from clear whether the venture will pay for itself. “It’s all propaganda. There was no viability study done,” said Ahmed Kamaly, an economist at Cairo’s American University. The average number of ships last year was 47, well below the maximum capacity. The growth in world trade has stalled as China comes off the boil and shifts from heavy industry to a service-led economy. The Swiss bank UBS says the "import-component" of China’s exports has dropped to 33pc from 60pc in the mid-1990s, cutting reliance on shipped goods to drive economic growth. The canal can no longer hope to attract booming shipments of liquefied natural gas (LNG). America plans to export LNG directly to Europe in growing volumes, effectively pushing LNG from Qatar and Asian suppliers towards markets in the Far East. President al-Sisi has seized on the Suez venture to rally the nation and project a can-do confidence, hoping to pull the country out of a deep economic crisis with the shock therapy of free market reforms – the Arab world’s answer to Chile's Augusto Pinochet. He has already taken advantage of low oil prices to slash fuel subsidies and called for an “Islamic Reformation” to restore the historic dynamism of the Middle East and lift the Muslim world out of an economic cul-de-sac. Yet the task is daunting. Egypt’s public debt is almost 90pc of GDP, near the danger level for a developing country with thin capital markets. The budget deficit is 11pc of GDP. Foreign reserves are a wafer-thin $22bn, covering four months of imports. The economy is being kept afloat by $25bn in annual aid from Saudi Arabia and the Gulf states, a source of funding that is increasingly in doubt as the oil slump drags on. President al-Sisi hopes to capitalize on the presence of French president Francois Hollande and other Western politicians at the Suez ceremony to legitimize his government, despite the bloody overthrow of the elected Muslim Brotherhood two years ago and human rights abuses on a systemic scale. There is outrage across the world at the death penalty imposed on former president Mohamed Morsi and hundreds of his supporters. But global leaders are biting their tongues, reluctantly backing President al-Sisi as a defence against anarchy in the leading Arab nation. The situation is extremely tense. The chief prosecutor was assassinated in June. It took Egyptian F-16 fighter jets hours to dislodged ISIS forces from the North Sinai town of Sheikh Zuweid in early July. Middle East security expert Gilad Baum said the greater threat is a simmering insurgency “spreading like wildfire throughout Egypt” as Salafist activists abandon non-violent resistance and take matters into their own hands. A new group called “Revolutionary Punishment” has launched 120 pinpoint strikes this year in a well-crafted strategy to sabotage the economy and chip away at the props of the al-Sisi regime. “Their targets range from electricity posts and public transportation to multinational corporations, as they hope to drive off potential foreign investors. Power cuts and service halts in strategic locations, as well as drive-by shootings at branches of KFC, Vodafone, HSBC, Carrefour and elsewhere, are now taking place on a weekly basis,” he wrote in Foreign Policy Journal. President al-Sisi told the ceremony that his country was holding the line for the whole of mankind. "Egypt this year has stood against the most dangerous terrorist ideology that would burn the world if it could. We are fighting them, and will defeat them," he said. The new Suez Canal scarcely compares with the original venture - a 100-mile waterway that slashed 4,200 miles off the Cape shipping route from Europe to Asia and transformed world trade. It was built by the French diplomat Ferdinand de Lesseps in the 1860s and was at first viewed with great suspicion in London as a rival strategic move by Napoleon III to gain dominant influence in Egypt. British prime minster Benjamin Disraeli quickly saw its value and - after a tip-off from a journalist - jumped on the chance to buy a £4m stake from the Khedive in 1875 after Egypt spiraled into financial crisis. He secured the money through the elite Rothschild banking family, presenting Parliament with a fait accompli. Within a decade, 80pc of the shipping in the canal was carried by British vessels. It became the central artery of the British Empire, and the lifeline to India. The canal was nationalised by the firebrand military leader Gamal Abdel Nasser in 1956, triggering a botched intervention by Britain, France and Israel that extinguished the last European pretensions to empire and marked the end of Britain’s days as a world power. It was Washington that sealed the fate of the Franco-British venture. President Dwight Eisenhower let a speculative attack on sterling run its course, refusing to any credits to a prostrate Britain until the withdrawal of troops. The Soviet Union took advantage of the global furore over the Suez Crisis to crush the anti-Communist uprising in Hungary. Nikita Khrushchev chose his moment perfectly. The West could hardly take the moral high ground when it seemed to be doing the much same in Egypt. History plays its tricks. China's recent stock market gyrations have some analysts now calling China the biggest bubble in history. But those who write off China because of market volatility are missing a more important long-term trend of Chinese geopolitical and monetary ascendancy. That trend shows no signs of abating. China's leaders have a clever strategy, and Western financial powers may someday wake up in shock when they realize what has occurred. It's true that the Chinese government has helped fuel artificial demand for property and equities. China skeptics who argue that these artificially inflated markets will crash to much lower levels could well prove to be correct. Some China doubters also argue that a downturn in China's economy will put downward pressure on commodity prices. 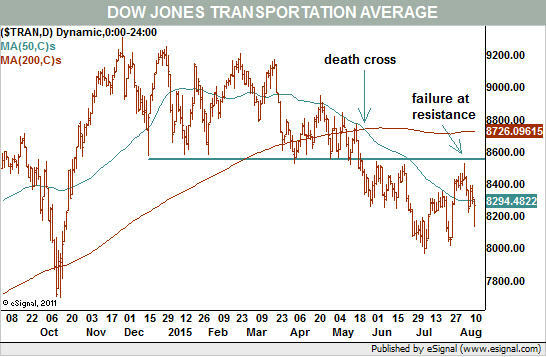 Commodities - from crude oil to copper to gold and silver - have already suffered a severe cyclical downturn. Commodity markets tend to be leading indicators, moving in advance of whatever economic story of the day the financial media are telling. The very fact that booms and busts in China's markets and economy can now exert heavy influence in globally traded markets such as commodities proves the point that China's influence isn't on the wane. Not by a long shot. Even if China's double-digit rates of growth in the early 2000s prove fleeting and never return, China's economy still remains on track to eclipse the U.S. economy in the years ahead as the world's largest. Chinese officials aim to ultimately to challenge the America's standing as the world's superpower. That's why they're forming a strategic alliance with Russia, an adversary of the U.S. That's why both the Russian and Chinese central banks have quietly emerged as the world's largest gold buyers. In July, the People's Bank of China reported that it has added more than 600 tons of gold bullion to its stockpiles since 2009, taking the total to 1,658 tons. That represents a 60% jump in gold assets in just six years. In fact, all of that new metal was added to central bank's ledger in June 2015. So that's just what the Chinese are reporting officially. Unofficially, according to MarketWatch columnist David Marsh, "China probably has a lot more gold than it admits." That's because the Chinese government regularly acquires gold directly from China's mining industry. The transactions are settled in yuan rather than dollars, so most or all of these "internal" gold purchases can avoid showing up as foreign reserve assets. In examining gold flows into China as well as Chinese gold production, some experts believe that China actually holds more than 10,000 tons of gold, not the "paltry" 1,658 tons the People's Bank of China is disclosing. It makes logical sense that China would understate its gold aspirations. If you had the means to acquire hundreds, or even thousands, of tons of gold, you'd want to do so as stealthily as possible in order to avoid tipping off the market. If your strategic objective was to dramatically boost gold reserves over a period of several years, you wouldn't want to see the price rise - at least not while you're still accumulating. And if you had no ethical qualms about interfering in the market, you'd want to rig prices lower so you could obtain more ounces. But there is plenty of evidence to suggest that China is covertly buying gold while dumping U.S. Treasuries. JP Morgan analyst Nikolaos Panigirtzoglou calculated that China's foreign exchange assets got depleted by $520 billion over the past five quarters. Most of that $520 billion in paper asset dumping comes, presumably, from China's massive holdings of Treasury securities. As Reuters reported, China "is pushing for the increased use of the yuan for trade and investment as part of a long-term strategic goal to reduce dependence on the dollar." The yuan's ascendancy to the status of a top-tier SDR currency would go a long way toward making the Chinese currency a serious global competitor to the U.S. dollar. China's gold-accumulation strategy will go a long way toward making China more independent of the dollar and other fiat currencies. If you actually believe what the People's Bank of China reports as its gold reserves, then it has a long way to go to catch up with other countries. While China's official stash is the world's sixth largest in absolute terms, it ranks much lower in relation to its economy and its total foreign reserves. China's admitted gold hoard represents just 1.6% of its foreign exchange holdings. By comparison, Russia's gold bullion accounts for 13.4% of reserves. Whether it owns 1,658 tons or upwards of 10,000 tons, China's appetite for gold is far from being satisfied. The Chinese government will continue to buy, both officially and unofficially. China may never establish a model sound money system; nor is that its goal. China simply appreciates the universality of gold. And, as the saying goes, "gold goes where it's most appreciated." Whether you're a Communist or a capitalist, whether you speak Mandarin or English, gold remains the one permanent, immutable common denominator. Gold's value has been recognized universally for hundreds of years and will continue to be recognized universally regardless of whatever market gyrations or economic or political strife the future may bring. MONTEVIDEO – Central bankers continue to fret about frothy asset markets – as well they should, given the financial crisis of 2008-2009. Having been burned once, they are now doubly shy. And China’s recent stock-market plunge has certainly not eased their fears. Securities prices are extraordinarily high, considering the backdrop of flaccid economic growth. Bond prices have soared on the back of quantitative easing by the Bank of Japan, the Federal Reserve, and the European Central Bank. Property prices from London to San Francisco have risen to nosebleed-inducing levels. What, if anything, should be done to minimize the risks of a rapid and sharp asset-price reversal? Rasib Ali, an 18 year old from Pakistan, arrives on the Greek island of Kos after spending the night rowing across from the Turkish town of Bodrum. Just hours later, vacationers will swarm the beach where he landed. Hoteliers and mayors are doing their best to keep the two groups of foreigners apart. But encounters happen nonetheless, in inexpensive guesthouses, where the poorest of the vacationers and the richest of the migrants stay side-by-side, or in beach shops, where they buy the same inflatable boats -- some for enjoyment and others as a means of escape. They can also encounter one another on the high seas. And then there are the tragic moments when plastic bags containing passports, loose change and shoes wash up next to the tourists' beach chairs -- or when bodies are found in the gentle surf. She and her friend Edith Hübner have separated themselves from the group so that they can explore the city on their own. It is the last day of their trip, the end of a week-long, round-trip cruise from Malta on the Mein Schiff 3, with stops in Piraeus, Mykonos, Bodrum and Catania. They ate well on board, they laughed when the captain performed in the "Crew Show," and they relaxed by the pool, gazing out at the sea and the sky. Bannert is a retiree, and this is her 10th cruise. "I still want to see a lot of different countries," she says. "I think everyone should be interested in other cultures." Kofi Koami, as he calls himself in Malta, is sitting in a dark room just 100 meters from the Grandmaster's Palace. He collects 30 cents from everyone who walks into the room. It is Valletta's nicest public toilet, he says, and probably the nicest one in Malta. With its red curtains in the vestibule and heavy, mirrored doors leading to the toilets, he might be right. Once every half hour, Koami wipes the doors to keep them shiny. He likes it when cruise-ship passengers are in the city. There are so many of them, and they are friendly, friendlier than the Maltese, and most of them pay good tips, especially the Germans. He will probably take home €40 or €50 today, after 10 hours of working without a break. He is actually helping out a friend who couldn't make it to work this week, so he'll be out of a job again next week. Bannert and her friend have returned to port. She did have her qualms at some point, she says. Can you go on a cruise in the same body of water where thousands of people are currently drowning? Can you sip cocktails in a deck chair, while others are dying of thirst only a few kilometers away? Mateo has fond memories of his boyhood, when he used to play with Moroccan children on Mount Gurugú. At the time, only a knee-high fence marked the border, designed to keep animals off the city's streets. The Spaniards have repeatedly raised the fence since then. La Valla, as it is known, is now a bulwark consisting of three rows of fine-mesh fencing. It is 11.5 kilometers (7.1 miles) long, 6 to 8 meters (20 to 26 feet) high and 3 meters wide, reinforced with razor wire, equipped with motion sensors and infrared cameras, and patrolled by the Spanish police force, the Guardia Civil. Nevertheless, a total of some 16,000 migrants, moving in large groups, stormed this iron curtain more than 70 times last year, often enduring deep cuts on their hands and feet. The Spanish government spent €3.5 million, and the European Union provided a subsidy of €1.4 million, to improve the quality of life of the city's 85,000 Europeans. Part of the money was used to build the new golf course. "Building isn't allowed here, so close to the fence, so why not use the land?" asks Miguel Angel, who prefers not to provide his last name. "Of course, if we see the fence being stormed while we're playing golf, we can't exactly look away," he says. "Out of decency," he adds, he and his fellow golfers then continue their game at a more distant hole. Right next to the golf course is the refugee camp built by the Spanish authorities in 2000. Designed for 500 people, it now houses close to 1,500. At first, it was almost exclusively Africans who were coming to the city, says Director Carlos Montero, but since last summer, most of the new arrivals have been Syrians. Instead of climbing the fence, they enter Melilla through the Beni Ensar international border crossing, where they can apply for asylum. In 2014, some 170,000 migrants reached Italy's coasts after traveling across the Mediterranean. In the same period, close to 50 million foreign tourists visited the country, generating €40 billion in revenues. This year, Sicily expects the number of visitors to increase by 10 percent. One reason vacationers are still visiting the coasts of southern Italy in such large numbers is that beachgoers rarely get a glimpse of the migrants, not to mention dead ones, as was the case at the Lido Verde in 2013. In town, they congregate in a small park at the marina, with its manicured lawns and red roses. Hundreds of migrants are gathered here on this morning, with temperatures already at 34 degrees Celsius (93 degrees Fahrenheit). Fidan, 27, is sitting under a tree, staring out at the sea. It terrifies her, because she can't swim -- and because she has heard about the people who drown in its waters, night after night. When asked, Fidan always responds with one word: "Bombs." She doesn't tell the tourists that she was actually happy in Aleppo, and that it was an ordinary afternoon when her life changed forever. She doesn't say that she was in the kitchen cooking when the bombs struck her friend's house next door, ripping off the arms and legs of her children. That was the day Fidan, her husband and their four children left home. While the tourists argue, the refugees disappear into side streets. They seem to be welcome there. Some guesthouse owners rent them empty rooms for €10, and supermarkets sell them life vests for €15. As soon as night falls, the Turkish coast guard begins patrolling the waters, both to save people from drowning and prevent them from leaving the coast. But there are too many rubber dinghies in the water, as the refugees all leave at the same time, so that at least a few of them will make it through. Hundreds leave Bodrum every night. Last year, the Turkish coast guard prevented 1,500 people from crossing to Greece, while this year the number has already skyrocketed to 12,000. No one knows how many have drowned. The passage from Turkey's Anatolian coast to Greek islands like Kos, Rhodes, Samos and Lesbos has become one of the most popular migrant routes to Europe. The crossing is short, and Turkey, as a staging post, is safer than places like Libya. Some 68,000 refugees arrived in Greece in the first six months of this year, including several thousand on Kos. The number is higher than ever before. At the end of a long day, Rasib Ali -- who spent the night paddling from Bodrum to Kos in his rubber dinghy -- also ends up at the Captain Elias. He is looking for a place to sleep, with eyes looking empty above his sunken cheeks. But Ali has reached his goal. He has arrived in Europe. All he has to do now is wait until the Greek authorities issue him a document allowing him to continue his journey. His next stop, he says, is Athens. Or maybe even Germany. Delay only ensures that Iran will be stronger, richer and bolder when the moment comes. There is only one thing the ayatollahs in Tehran want more than a nuclear bomb: that is for their regime to survive. Thanks to the agreement announced on July 14, they will get both. The deal will strengthen their tyrannical, revolutionary and fundamentalist regime, and they will have the bomb within a matter of years. The Friends of Israel Initiative, of which I am the chairman, has been warning that a bad deal is worse than no deal, and we firmly believe that the present agreement, despite the U.S. administration’s good faith, is a terrible one. The evil is in the nature of the regime itself, which believes that violence is a legitimate tool to achieve expansionist goals. The Obama administration says that pouring billions of dollars into Iran will tame its aspirations and moderate its behavior. But that argument is based in idle hope. It runs against all we know about the Islamic Republic since its founding in 1979, as well as our experience with other tyrannical regimes, like North Korea’s. Dictators do not dissolve when they are showered in money. President Obama presents a false dichotomy in suggesting that postponing Iran’s path to the bomb is the only way to avoid bloodshed now. There are effective alternatives that fall between this agreement and war. Though it may be true that the Russians and Chinese would have alleviated some of the pain of sanctions on Iran, it is undeniable that sanctions were taking a heavy toll. The Iranians didn’t come around to talking about their nuclear program after years of secret efforts because they suddenly lost interest. Sanctions worked. 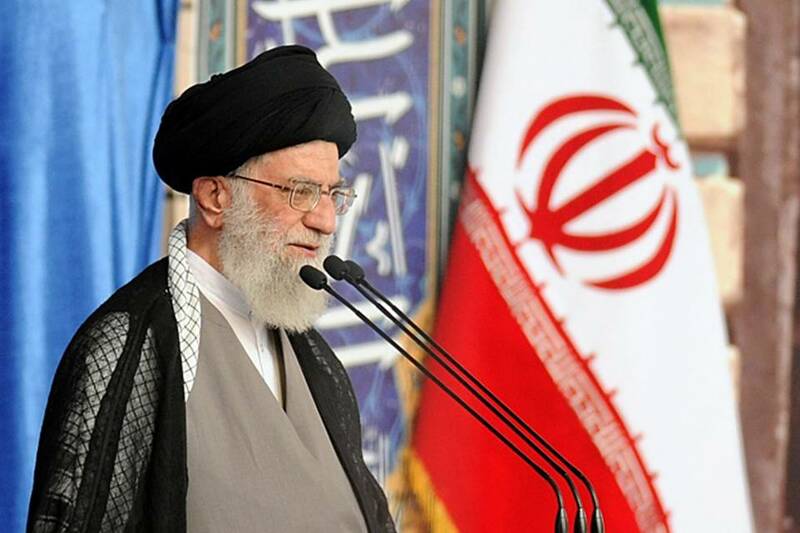 Moreover, as a result of the many concessions in this agreement, particularly the lifting of the embargo on arms sales to Iran, the regime will become better equipped and more militarily robust. Ten years—said to be the delay the agreement will impose on Iran’s nuclear program—is an eternity to a politician like Mr. Obama, who can only stay in power for a maximum of eight. But it is a grave error to think in such a short time frame, which Iran’s ambitions will far outlast. Finally, some pragmatists may claim that by ending the animosity sanctions cause, this agreement will open up a new phase of collaboration with Iran, particularly regarding the fight against Islamic State. But it is in the West’s long-term interest to have an Iranian presence in Yemen, Iraq or Syria? The enemy of my enemy is not always my friend, particularly in the Middle East. As tired as the U.S. may be of distant wars in which victory proves elusive, fatigue should not lead to abandonment. Letting Iran take the lead in the ground combat against ISIS is a dereliction of duty that the Western world, much less the U.S., should not allow. That after a year of air attacks against it ISIS still retains half of Syria and a third of Iraq is not because the West is weak; it is because our minimalistic strategy cannot reverse the feeling of victory among the many joining and fighting for ISIS. Western allies can be effective militarily, but this will happen only with a higher commitment to victory. In Europe in the 1920s and 1930s many competent leaders made serious mistakes based on false assumptions. In America too, there have been moments—such Jimmy Carter’s handling of Iran—when leaders have been plainly wrong. Politicians are not immune to making mistakes. But they can learn from history. Sooner or later the West will have to confront Iran—only later it will face an emboldened, better prepared, modernized and richer Iran that will do its best to attain the goals we’ve always tried to prevent. Mr. Aznar is chairman of the Friends of Israel Initiative and a former president of Spain.